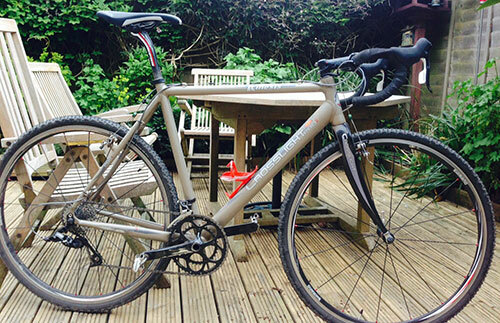 When we bought our Kinesis Crosslight Pro3, we were given a set of used cyclocross tyres to get us on the trails, but it was quickly clear that the bike needed some new tyres. Cyclocross tyres aren’t cheap and there are certainly fewer of the ‘fire sale’ bargains that offer bucket-price road and mountain bike tyres, and I was reluctant to spend nearly £100 on two tyres at this stage in our cyclocross journey, so I did some homework. Schwalbe are our tyre manufacturer of choice for mountain bikes (running tubeless Nobby Nics and Racing Ralphs on both bikes at the moment), but we steered to Vittoria for the cx tyres. 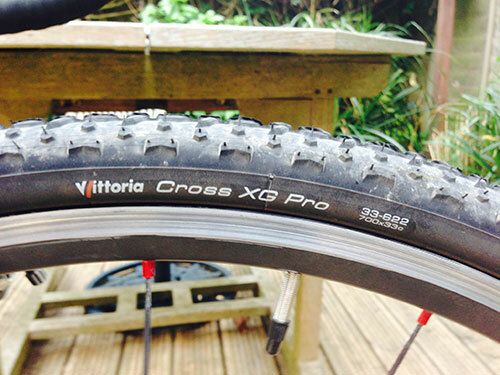 Vittoria have a long heritage in bike tyres and we love their Rubino Pro as a fast summer tyre, so we went that route and selected their Vittoria Cross XG Pro Folding Tyre Full Black in 33mm size. The XG is designed for wet or loose surfaces, rather than mud (see their XM or XL for that), but that seemed like a good choice for the hard-packed trails locally and hopefully the start of this coming winter’s muddier courses. We went for the 33mm over the 31mm to provide a cushier ride, but I wouldn’t call these tyres broad by any measure. The other conserideration for us was the ability to use these tyres in a tubeless configuration, as we’re toyiing with new wheels for the Cannondale CAADX at the moment. 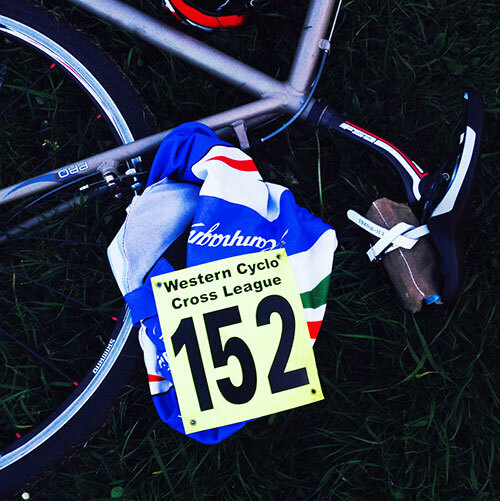 One surprise was the recommendation (on the tyre sidewall) to inflate the tyres to a minimum of 60PSI (and a maximum of 90PSI) – that seems really high for a cyclocross tyre, making for a harsh ride, and in last night’s Western Cyclocross League round 1 I ran these at 45psi and they were absolutely fine. With their knobbly profile, you wouldn’t want to cover too many road miles on these tyres as you’d wear them out in no time, but on rough ground they’re perfect. In last night’s race I was amazed at how much grip they provided, especially in the corners and heavily cambered sections, where the tyres were banked at severe angles realive to the ground and yet still maintained grip. The short uphill right hander that you could swopp into hard and fast from the left side and out over the top was like a roller coaster, with the tyres inspiring me to run it faster with each lap. There was also a short gravelly climb into some singletrack with a very tight sharp left-hander at the top, with gear changes and braking to think about, the tyres just did their job and dug in comfortably. First impressions are good – I’m glad I went with the heritage choice in Vittoria… roll on the winter to try these tyres in proper cyclocross weather.